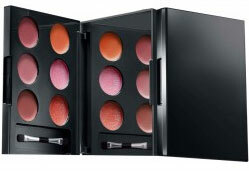 This Luxurious lip color gives higher colour delivery. Enriched with Vitamin E and Wheat germ oil this rich creme stick keeps your lips silky, soft and smooth. Extra shine, extra plump & extra glossy! The revolutionary Plump & Shine Lip gloss contains Marine Collagen & high-shine pigments that keeps your lips full and hydrated. Discover the finish of a matte with unbelievable comfort. This rich color matte stick is enriched with Vitamin E and Wheat Germ Oil to keep lips silky soft, Long Lasting and smooth. Now get super luscious lips with this revolutionary gloss that gives you high shine, high coverage for a lacquered finish. 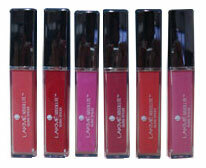 Recommended by Lakmé make up artists for super glossy lips. One stroke is all it takes to lock color and moisture. This matte lip color delivers deep tones and keeps your lips looking luscious and feeling supple for up to 16 hours. Comes with a unique brush for smooth and even application.